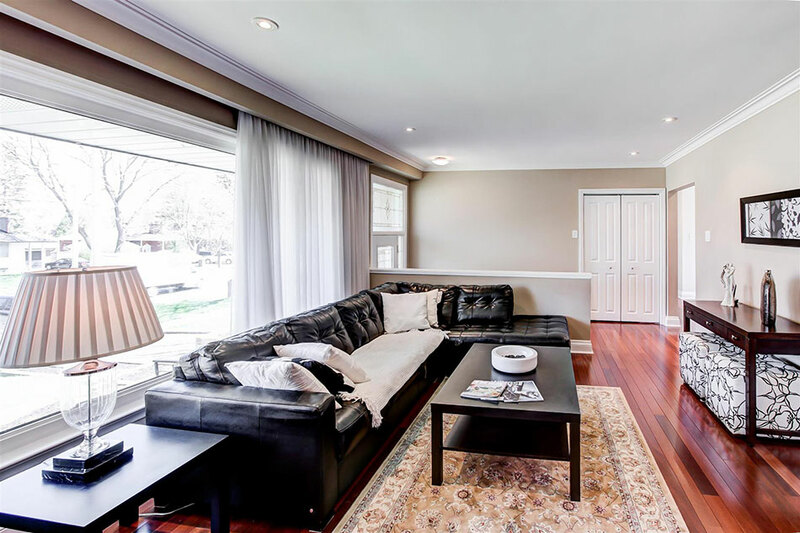 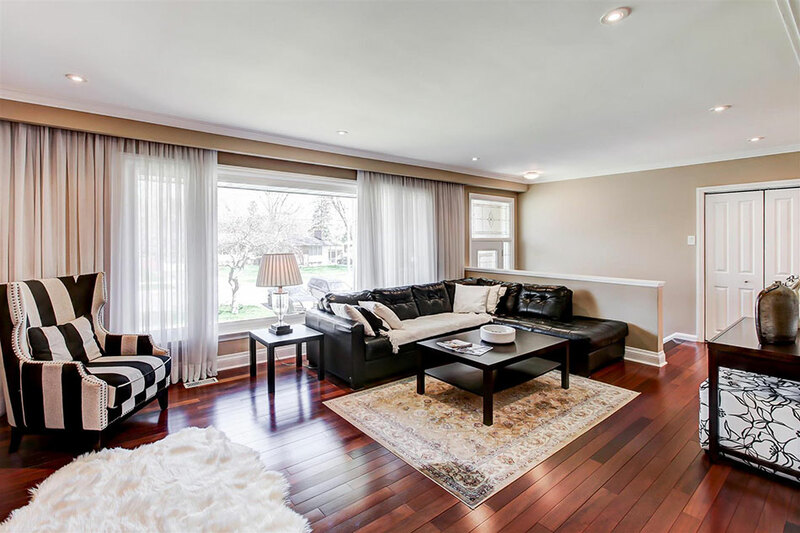 In the heart of Mississauga, in the highly coveted Erindale Woodlands enclave sits the beautifully updated 3166 The Credit Woodlands. 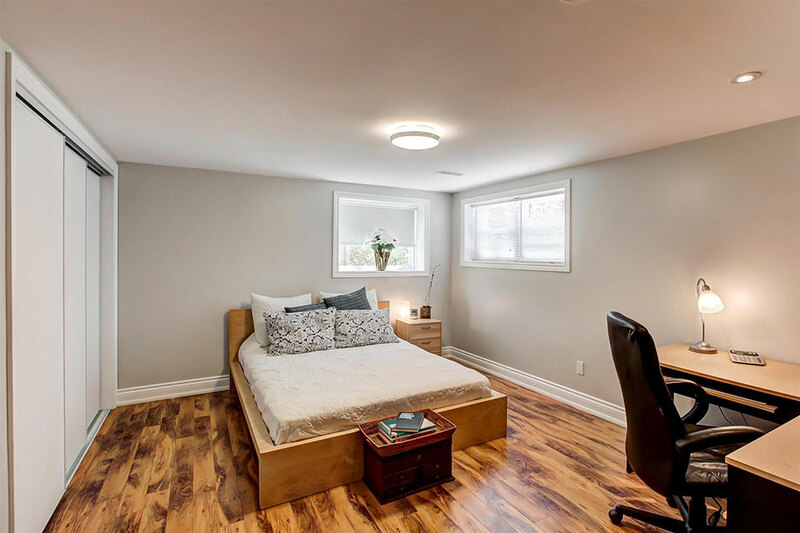 Found in a leafy, mature area surrounded by lots of trees, the lovely raised bungalow features 3-plus-one bedrooms as well as over $150,000 of exceptional upgrades. 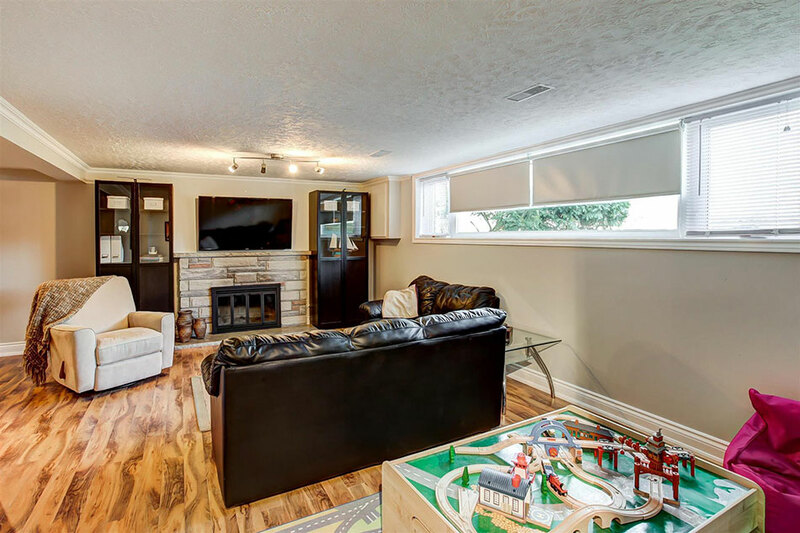 Featuring a classic brick exterior fitted with a double car garage as well as attractive wood flower boxes and a thick green lawn, it is a charming family home that has been wonderfully maintained and shows pride of ownership. 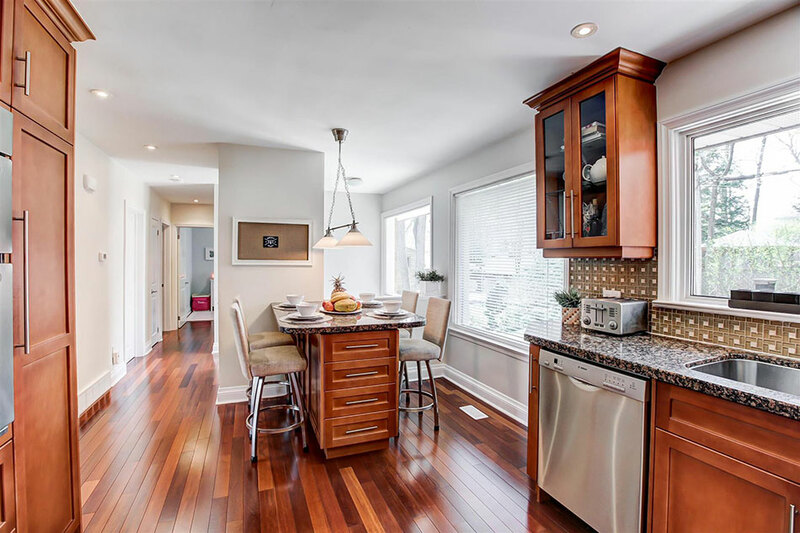 On the inside the home boasts hardwood floors, two wood-burning fireplace and the rough-in for a wet bar on the lower level, along with plenty of wonderful contemporary touches that are sure to impress. 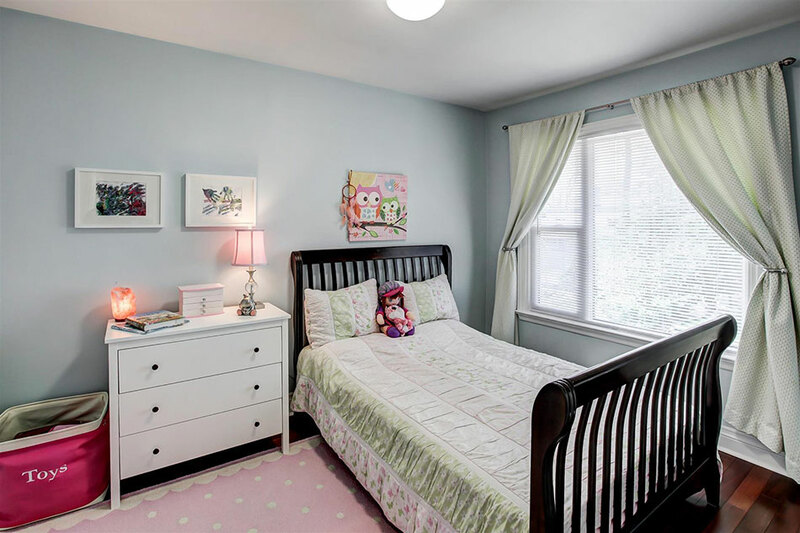 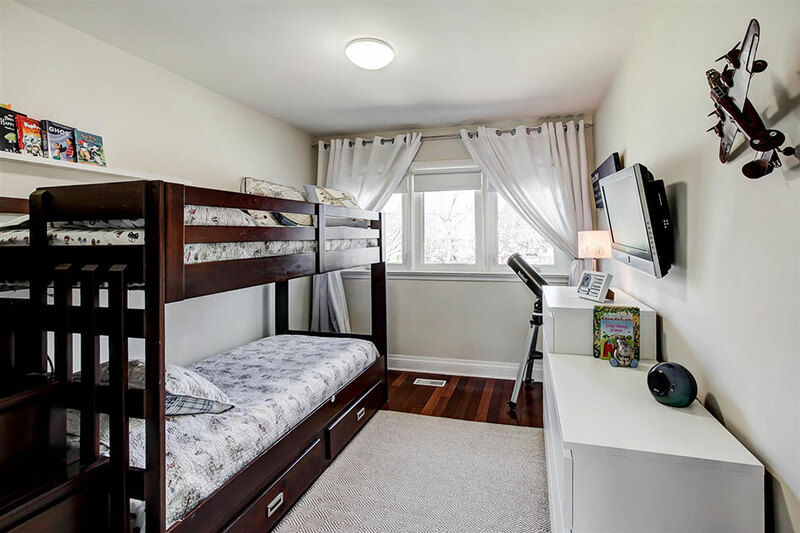 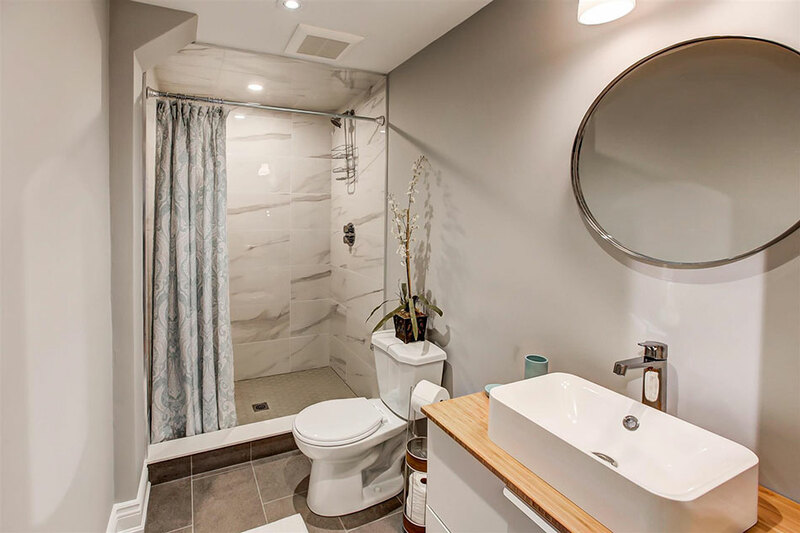 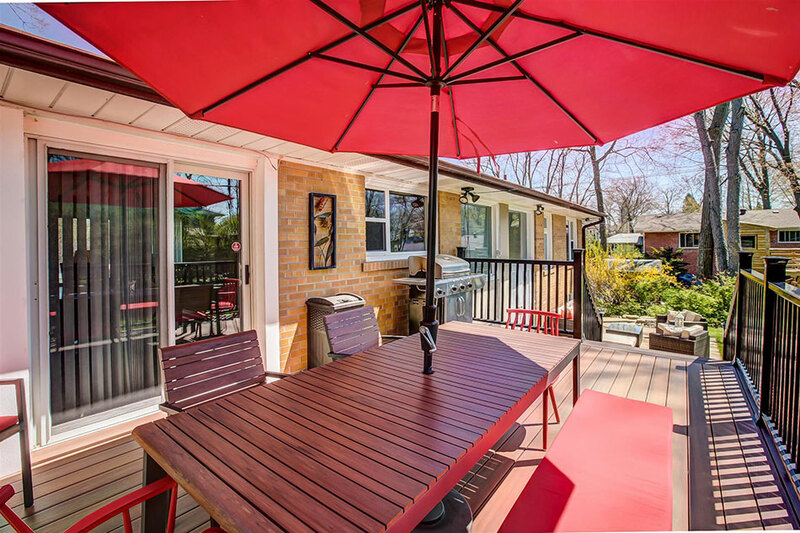 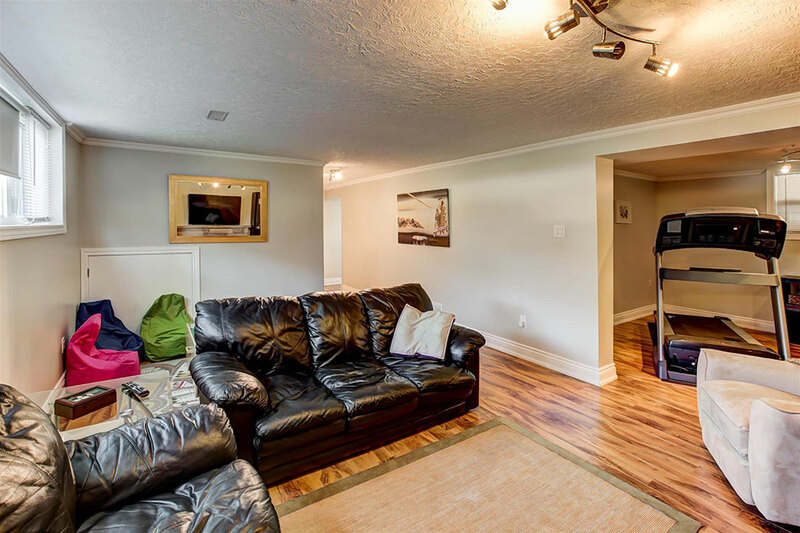 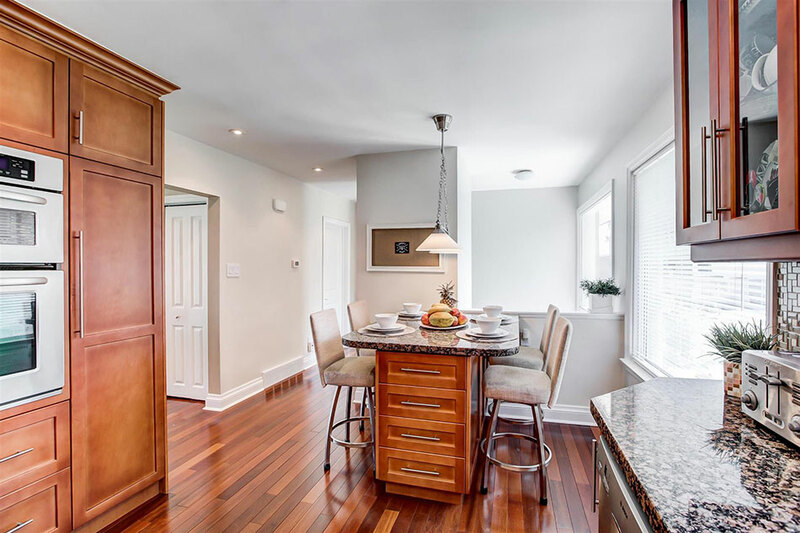 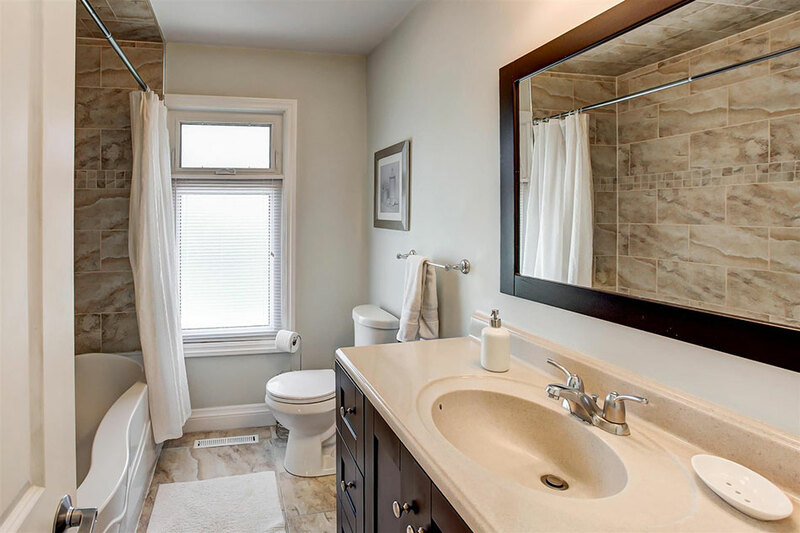 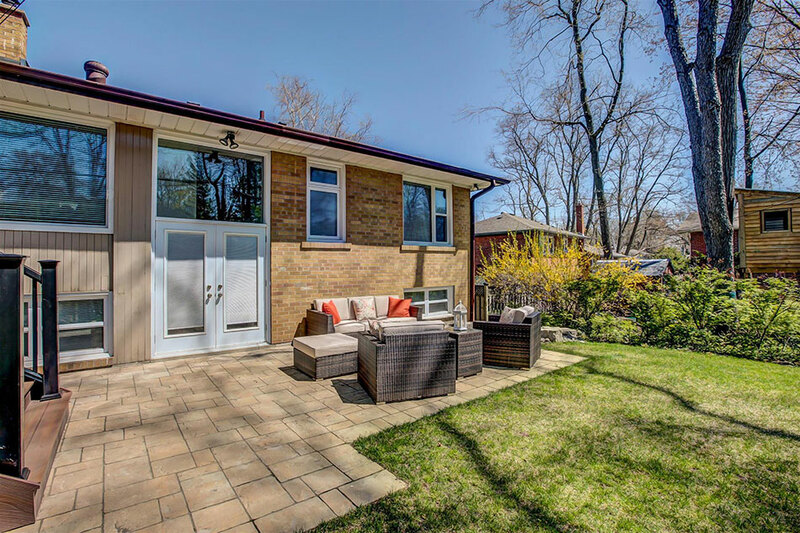 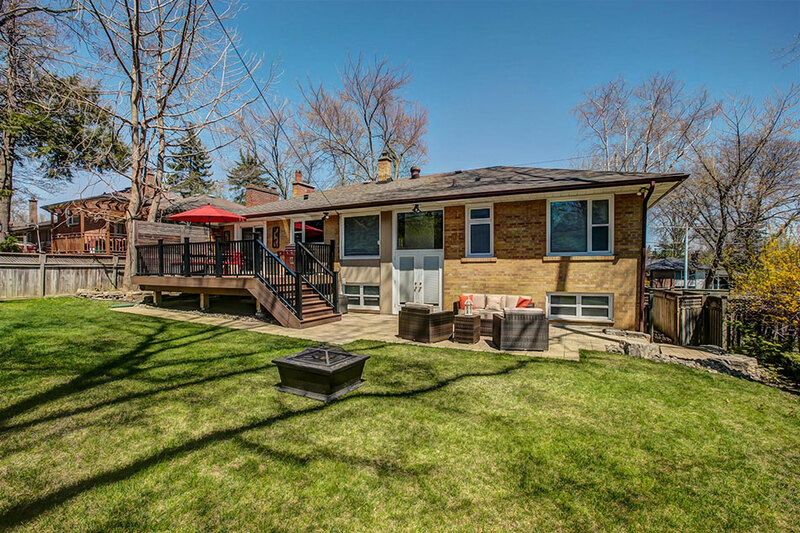 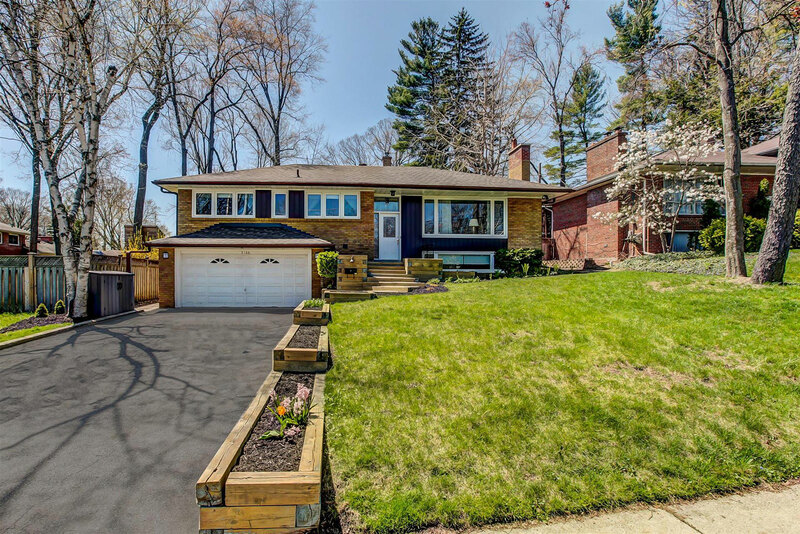 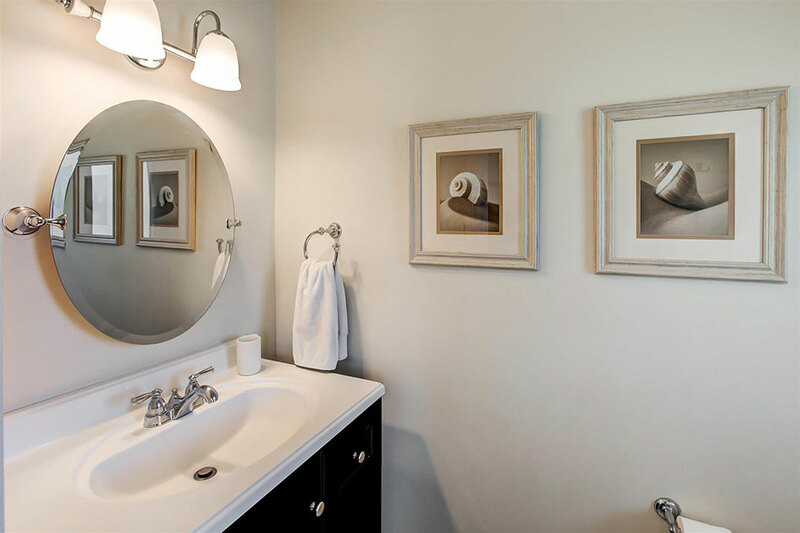 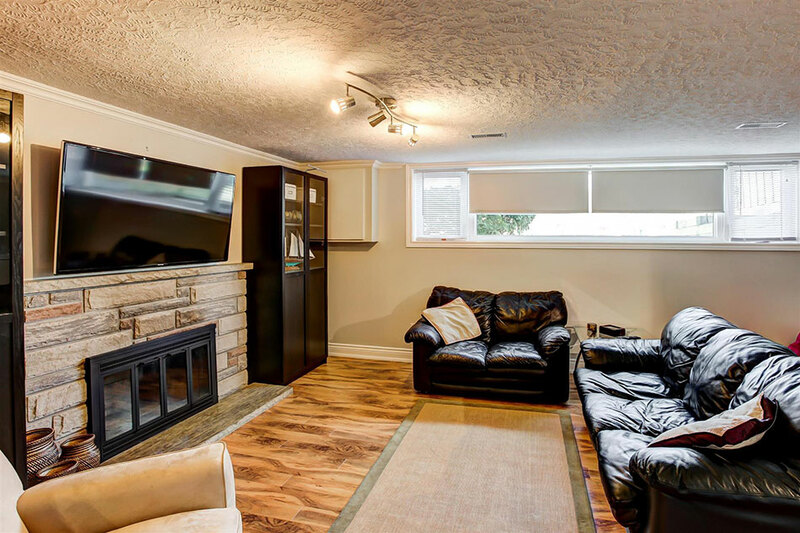 In a lovely area that is a walk away from the picturesque Credit River as well as from Erindale park, the home is also walking distance to Catholic and public schools, shopping, places of worship, public transit and the Riverwood Conservancy. 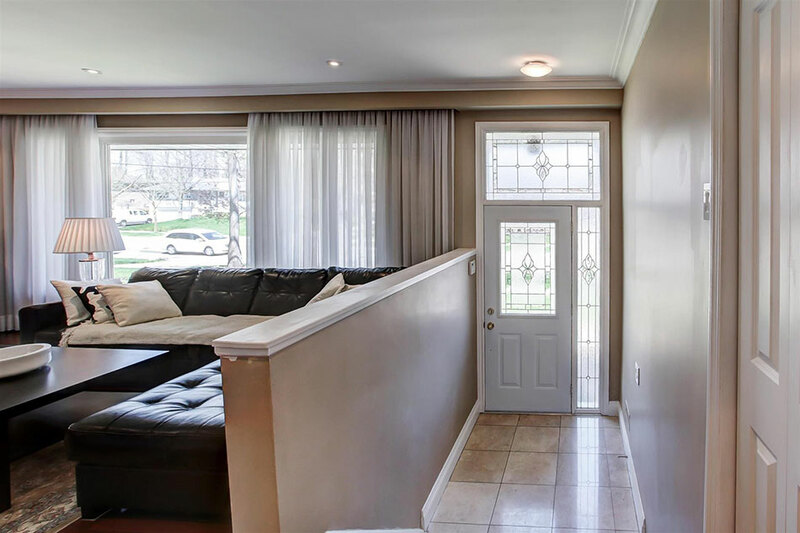 The foyer is a cheerful entrance way that features a short flight of stairs up to the main living area. 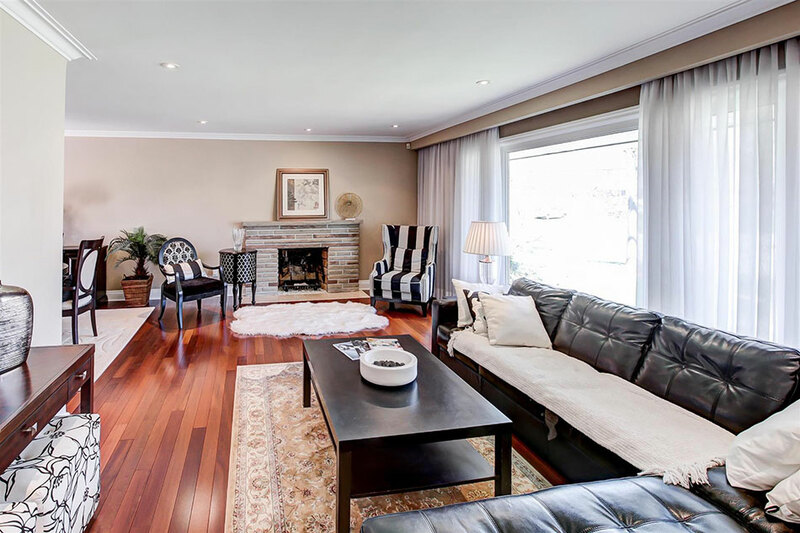 The living room is a wonderfully inviting space featuring a large picture window overlooking the tree-lined street while a striking wood-burning fireplace will warm up cozy gatherings. 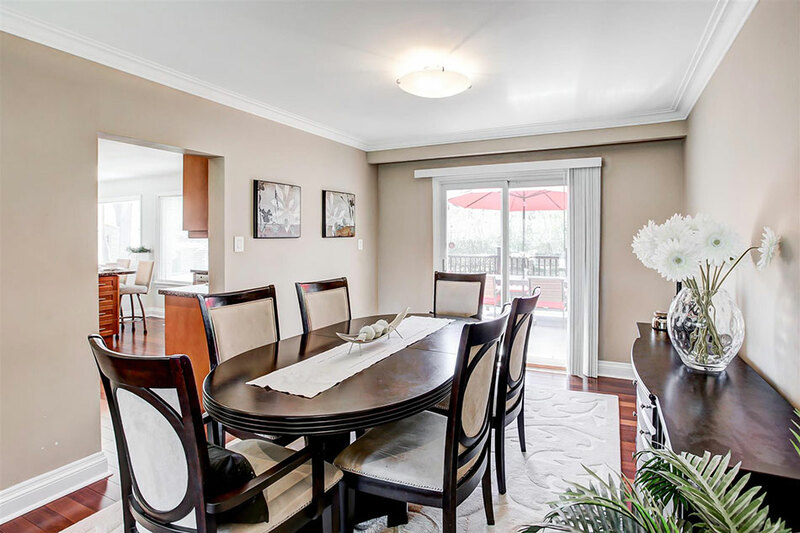 The adjoining dining room is a casually chic setting featuring a walkout to the deck while the kitchen is a modern gem. 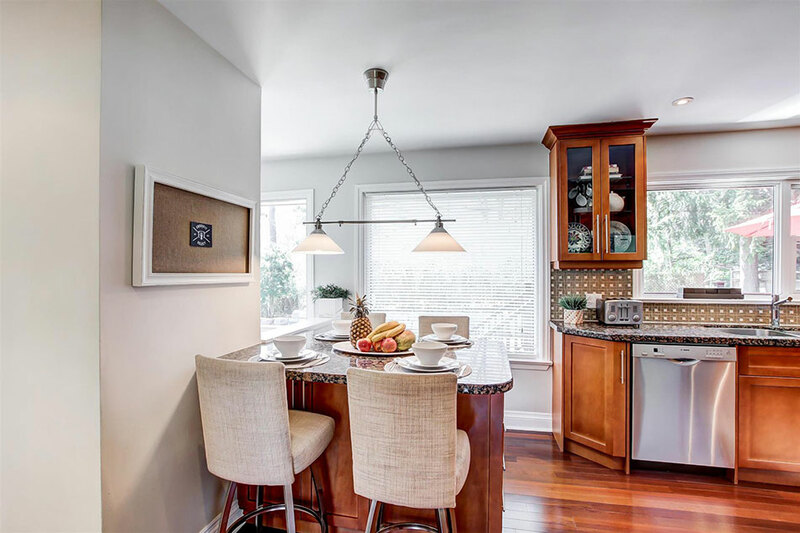 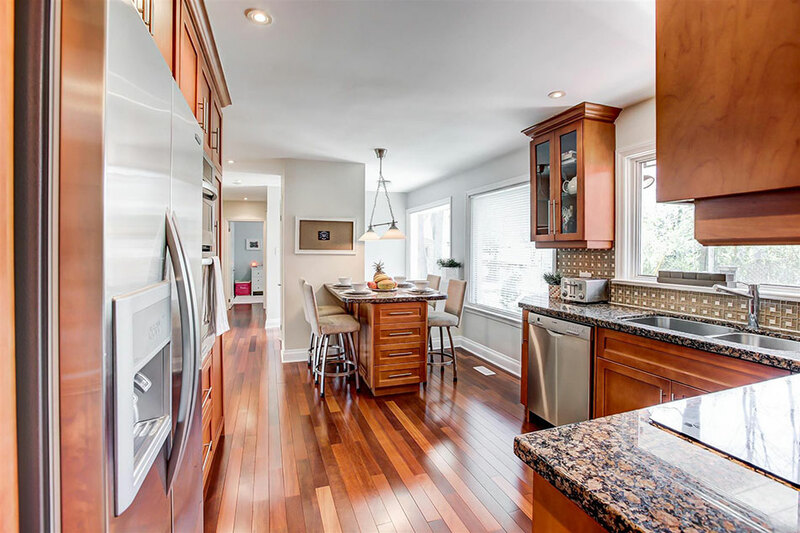 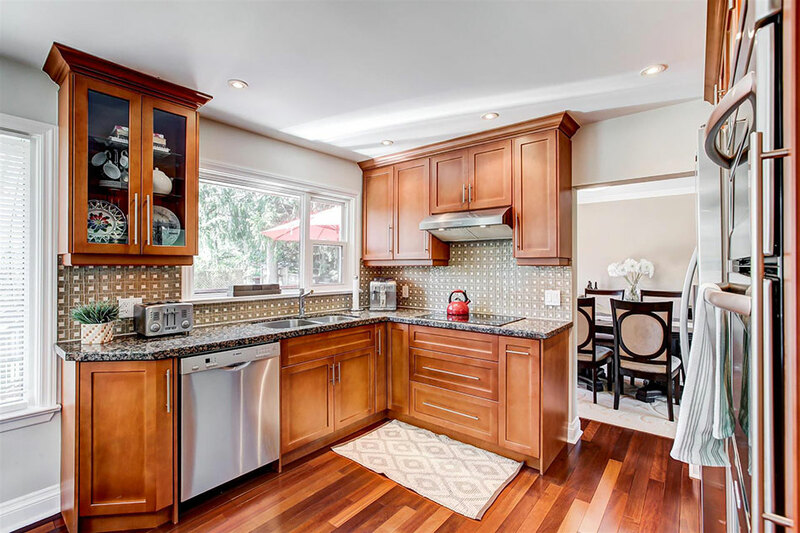 Fitted with granite counters, attractive cabinetry and a clever built-in table for the breakfast area, the kitchen also features a built-in stove and large pantry. 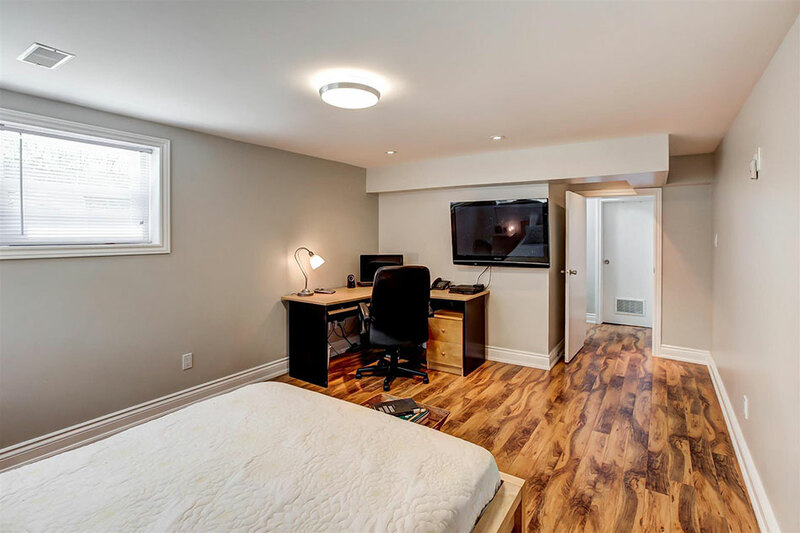 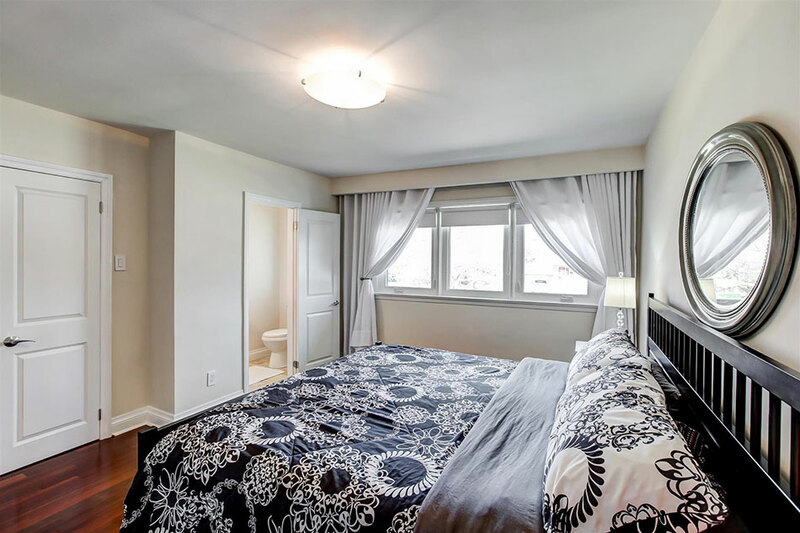 The master bedroom is a comfortably appointed chamber featuring a spacious double closet as well as a very convenient ensuite. 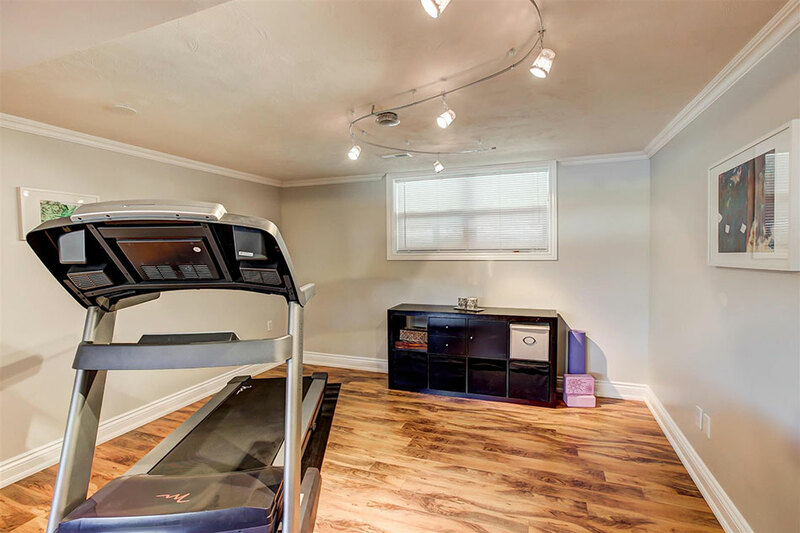 The lower level of the home boasts a second fireplace as well as a large recreation room and a fitness area. 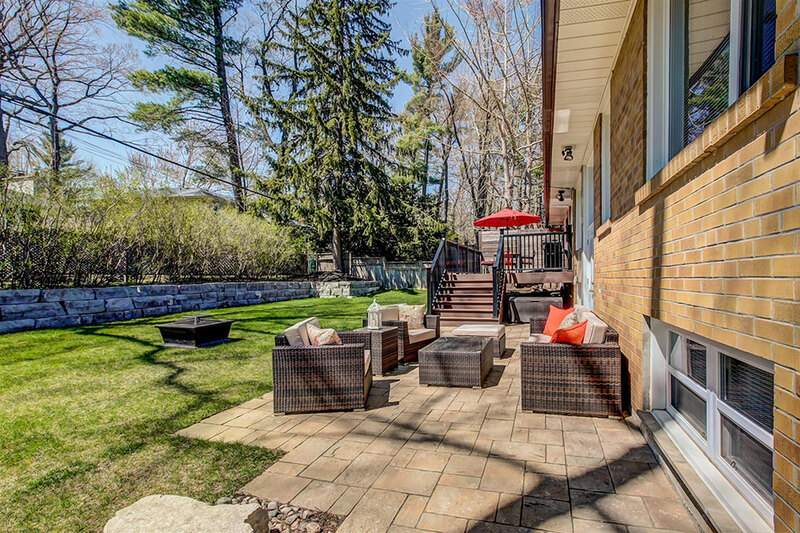 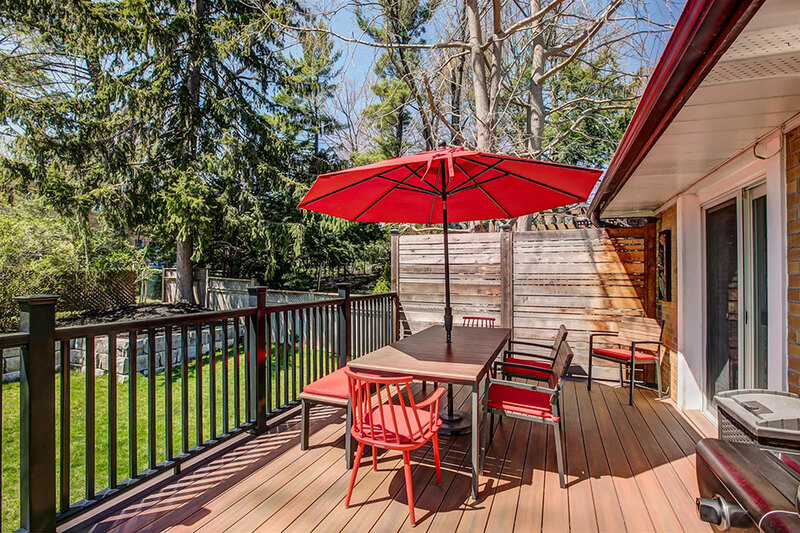 The backyard boasts a country-like ambiance with towering trees and Armour stone retaining wall providing shade and privacy while a Fiberon deck provides the ideal spots from which to sit and enjoy the beauty of this lush, green setting.